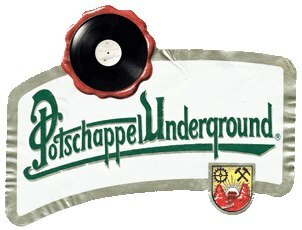 What a great Podcast also with a big guestmix by Potschappel Undergound. In the last part of the podcast you can hear the fantastic dubstepset with grime elements of the Potschappel Underground Crew. The record mix is ​​characterized by a relaxing deepness, ever driving beats and modern sounds. HUGE !! Feel free to download the podcast ->>>>Enjoy listening! At cold day´s we need fine music, an you know we only promote vibes&basslines. At the beginning OHRWO juggling some records by Dreadsquad, YT, Partial Records, Horace Andy, than a little dub by Babe Roots, Alpha Steppa, 45Seven Records, ZamZam Rec., Rider Shafique, Sam Binga and experimentel switch before more uk bass are taking over and back. Lay back and listen careful.